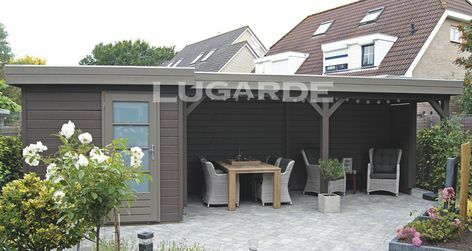 The Lugarde Prima Willow is a falt roof summerhouse with single door with opaque glass for privacy. There is a large semi enlosed canopy to the side with three pine posts and braces to the front. 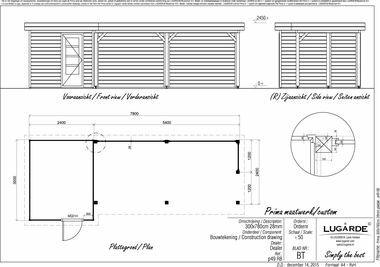 Overall summerhouse size 7.8m x 3m in 28 mm log thickness. The standard package includes 1 x MG01H single door with opaque glass and flat roof canopy measuring 5.4m x 2.4m.